Refused to join any talks for imposing binding limits on emissions of gases blamed for warming the atmosphere, the United States and China would now be put under the microscope frequently. The Energy Department reported that global warming in the United States has increased by 2 percent last year. 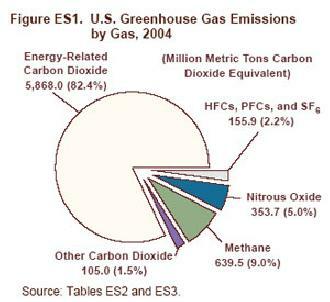 Led by carbon dioxide, methane and nitrous oxide, the so-called greenhouse gases, rose to 7.12 million metric tons, up from 6.98 million metric tons in 2003, the Energy Department’s Energy Information Administration informed. Compared to that in 1990, the rise is 16 percent higher! And that’s an average annual increase of 1.1 percent. Last year, about 80 percent of U.S. greenhouse gases were carbon dioxide from burning fossil fuels — coal, petroleum and natural gas — for electricity, transportation, manufacturing and other industrial processes. ← What to Do If the Next Tsunami Wave Hits?